Agricultural negotiations have often been contentious since differences exist between the developed and the developing countries on issues of finance and technology transfer. The first workshop scheduled under the roadmap of the Koronivia Joint Work on Agriculture (KJWA), which took place on December 3 at COP24 in Katowice, Poland, was agreed upon at COP23 in Bonn as a space for discussion on agricultural issues. The KJWA gives countries and different stakeholders an opportunity to present their views on different issues through workshops and expert meetings, including approaches to assessing adaptation, improving soil carbon, health and nutrient use, enhancing livestock management systems, and understanding the socioeconomic and food security dimensions of climate change in the agricultural sector. Workshops on each of these issues will be staggered over the course of the next two years. The aim of the first KJWA workshop at Katowice was to develop a set of modalities to implement the outcomes from five in-session workshops that were conducted before COP23. Constituted bodies, which include the Adaptation Committee, Least Developed Countries Expert Group (LEG), Executive Committee of the Warsaw International Mechanism on Loss and Damage, Consultative Group of Experts, Paris Committee on Capacity-building etc, were asked to present ways in which they could support implementation and advance the parties’ agricultural work now and in the future. The discussions saw a number of African nations concerned with how to best make information and support from the KJWA accessible to the beneficiaries—the citizens, farmers and vulnerable groups—while also integrating their views in this process. Developing countries continued to press on creating guidelines and modalities that would enable what is most sought after by these nations—the transfer of technology, capacity building and finance for agriculture. With the Green Climate Fund (GCF) present in the workshop, many developing countries looked towards them for financial support to move ahead with their agricultural projects and suggested that GCF be involved in the KJWA process. There seemed to be a general agreement between parties that the work of the constituted bodies would be useful in enhancing their work on agriculture. For instance, parties such as the European Union (EU), Uruguay and the African Group proposed institutionalising the involvement of the constituted bodies within the KJWA process. Specific guidelines and modalities on incorporating the outcomes from previous workshops are yet to be fleshed out and this is expected to happen during informal consultations held over the coming two weeks. 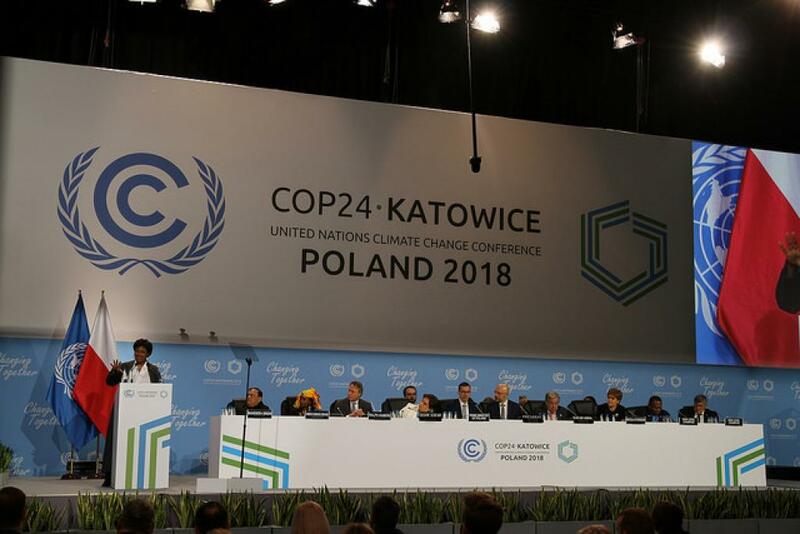 It has taken more than 10 years to come to a decision on creating a space to deal with climate change impacts on agriculture, therefore expecting any concrete outcomes at COP24 in terms of finance and technology transfer for agriculture are slim. But one can only hope that the renewed climate urgency prompted by the 1.5°C Special Report on global warming will spur parties to take the action needed on these pivotal issues that will help ensure food security and protect climate vulnerable populations.